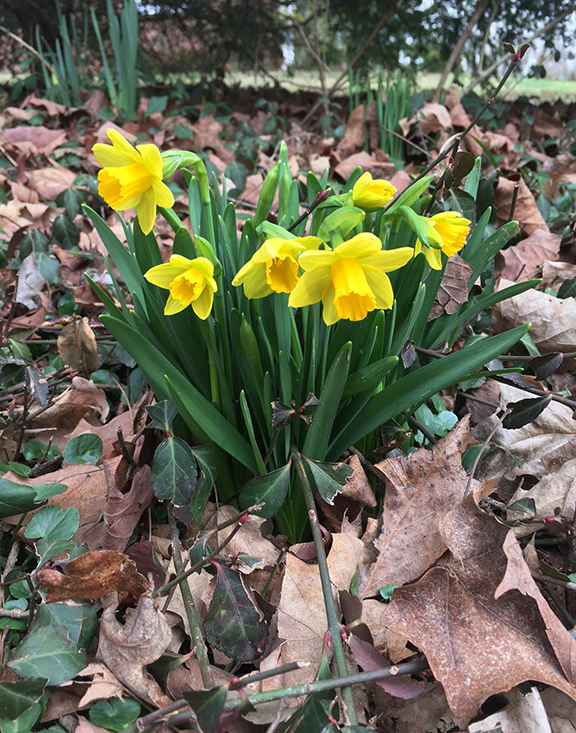 Normally, we should have plenty of time to get our gardens and landscapes ready for spring, but with this kind of weather we will want to bump up the schedule. Here are things that you should be thinking about in your landscape whether you hire a professional like Boone Gardiner to do it for you or do it yourself. Clean and Cut. Clean the garden of debris. Trim and prune shrubs as needed. Cut back old flower heads from shrubs such as hydrangea. Cut back ornamental grasses as well as any remaining perennials before they start to come out of the ground again. (at least too much out of the ground) Remove dead or diseased branches in shrubs and trees. Edging. Unless you have stone, brick or another edging, It is always good to put a fresh spaded edge on the beds before you mulch them. It looks good, makes maintenance easier and helps hold mulch in the bed lines. Mulching. Mulch is what protects plants, prevents erosion in beds, regulates moisture and helps control weeds. Spring mulching is always a good practice to get the garden or planting beds ready for the spring. We love high quality mulches such as hardwood, pine straw and pine fines. Design, Plan and Edit. If you haven’t already done this over the winter time, it is a great time to start a landscape design, or revisit a plan that you are working on. Edit plantings as needed, transplant and divide perennials. And of course best of all start planting! For tender vegetables, annuals and some perennials you will obviously want to wait, but now is great time to plant trees and shrubs to get a jump start on the season. This is just a short little post, as always please email or call with questions.